Please welcome Martin Stillion, my friend of more than two decades — a former classmate, a multi-instrumentalist, an extraordinary editor, an accomplished journalist, a frequent contributor to Response, a devoted family man. I’ve often appreciated his discernment when it comes to music and movies. He posted some comments on Ragamuffin, a film that I’ve been hoping to check out soon, and I asked if I could share them. He responded by expanding them into a guest review. Thanks, Martin! The last time I saw Amy Grant in concert, back in the mid-’80s, some guy named Rich Mullins was the opening act. I liked him well enough to buy his debut album, then pretty much forgot about him until I went to college—where the other students were excited about a couple of his newer songs: “Screen Door” and “Awesome God.” Both songs struck me as trite and cheesy, and I pretty much wrote off Rich Mullins after that. Years later, especially around the time Mullins died in 1997, friends would occasionally mention how profound they thought he was. Lacking familiarity with his later albums, I’d just nod and change the subject. But it seemed, from the scant details I did know, that he was capable of far more than cheap crowd-pleasers, and that his work had taken on additional spiritual, artistic and social dimensions since I’d last checked. This year, along comes a biopic of Mullins, Ragamuffin—which I thought might serve to fill in some of those gaps in my awareness. Released in January, the film is now streaming on Netflix. So I watched it. I wish I could recommend it. Ragamuffin should have been an interesting film, but it’s a half hour too long, the acting is mostly subpar and the characters are almost uniformly two-dimensional. For example, two of the most experienced cast members—Wolfgang Bodison (A Few Good Men) and James Kyson (tons of TV credits, notably “Heroes”)—portray shifty record label executives named Matt and Bryan, who might as well have horns growing out of their heads … and wouldn’t you know it, they’re just about the only ethnic minorities in the film: one African American, one Asian. (In reality, Mullins’ label execs were two white guys, Mike Blanton and Dan Harrell, best known as Amy Grant’s management team, and Mullins was with their label for eight years.) Other characters—Mullins’ distant father (Mel Fair) and careworn mother (Michelle Keller), bandmates, girlfriend, et al.—also function more as cardboard stereotypes than believable humans. Cast members with less developed acting chops are assigned some of the larger supporting roles, and their woodenness tends to kill whatever emotional momentum the film might otherwise have achieved. Canadian Michael Koch does give what appears to be a somewhat credible performance as Mullins, a talented but troubled artist who’s more concerned with integrity than success. And he captures some of the struggles that such artists faced when trying to make their way in CCM, a musical genre based more on conformity than originality. To its credit, the film makes no attempt to whitewash Mullins: he’s antisocial, he’s codependent, he’s impetuous, he loses his temper, he gets drunk. On the other hand, he’s sincere in his Christian faith and wants to make the world a better place, if only he can put a few of his demons to rest and find his niche. Unfortunately, writer/director David Schultz (who also appears in the film as Mullins’ Bible college buddy, Sam Howard) is a little too eager to make all the foregoing points, and the film ends up chasing its tail, showing us the same themes over and over, punctuated by the same portentous music, when it really needs to move the story along. Koch’s acting wears thin with all this pointless reiteration. Eventually we do see Mullins meet up with priest/author/speaker Brennan Manning (Charles Lawlor), who becomes his spiritual mentor and guides him toward his big emotional breakthrough—which I’ll get to in a minute. Every so often we’re reminded just how much of a low-budget film we’re watching. It’s necessary, for example, to depict Amy Grant’s Age to Age LP, which contained Mullins’ first songwriting coup, but somehow it’s not necessary to use any of the correct artwork. At one point Mullins is shown in a cinema watching a film about St. Francis—but rather than license footage from any actual film about St. Francis, Schultz inserts his own film-within-a-film. Other blunders are, I’m afraid, more serious. Ragamuffin depicts Mullins’ first visit to the Navajo Nation—an experience so profound for him that he enrolled in a college music education program just so he could go back and teach the children he’d met there. Mullins did, in fact, finish his degree and spend the last two years of his life on the reservation … but for some reason Ragamuffin skips those two years entirely. We see Mullins talking ad nauseam about returning, but inexplicably, we never see him do it. If the real-life Mullins came to any epiphanies through his work as a teacher, Schultz seems uninterested in telling us about them. Instead, as the film would have it, Mullins makes sense of his life by going on a retreat with Manning, where he finally gets past the most clichéd case of daddy issues since The Empire Strikes Back. I agree that the film itself was not the highest value in type of film critiques. The thing that grab me the most was candidness that the director chose to protray a CCM legend into of santize him. I think the acting/protrayal of him help forgive some the other failed character development. I think this was a step up from most “Christian” low budget movies that allowed me to actual sit through (unlike Left behind, God’s not dead, Fireproof etc). However, the film does fail in comparison to be an art work in of itself. Yes, the fact that Ragamuffin is not a hagiography is very much a point in its favor. I agree with your review, Martin, and wrote one that came to some of the same overall conclusions a few months ago. My biggest problem with Schultz’s film was that it was so joyless, and RM was as notable for his joy and humor as he was for his openness about his pain and sinfulness. 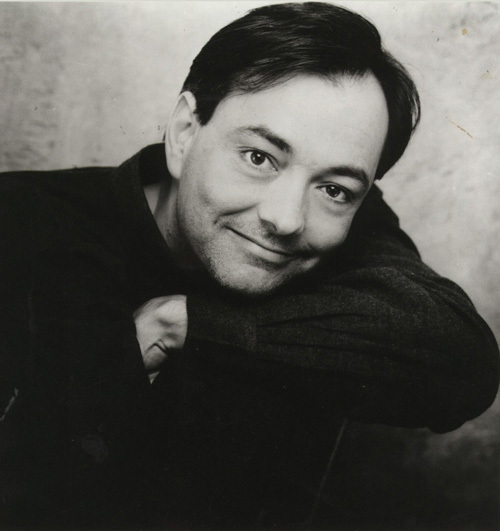 For the record, Rich Mullins came to detest “Awesome God” as it got done to death. He said it was one of his least favorite songs of his. But, also for the record, I do think the never-sung verses are kind of awesome. How many worship songs mention Sodom?! ?